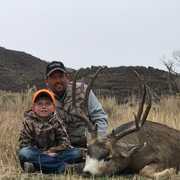 After 11 years of applying for mule deer in Colorado good friend and client Danny Stephenson took this monster Colorado buck during the 4th season! 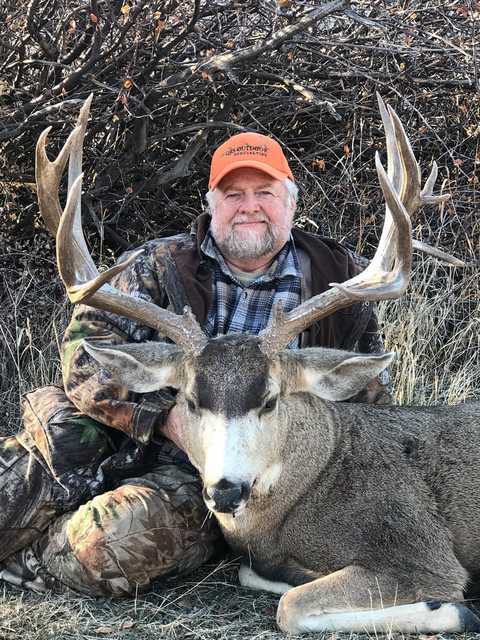 Good friend and client Danny Stephenson of Mineral Point Wis spent years dreaming and applying hoping one day to take a trophy mule deer in the Colorado mountains. 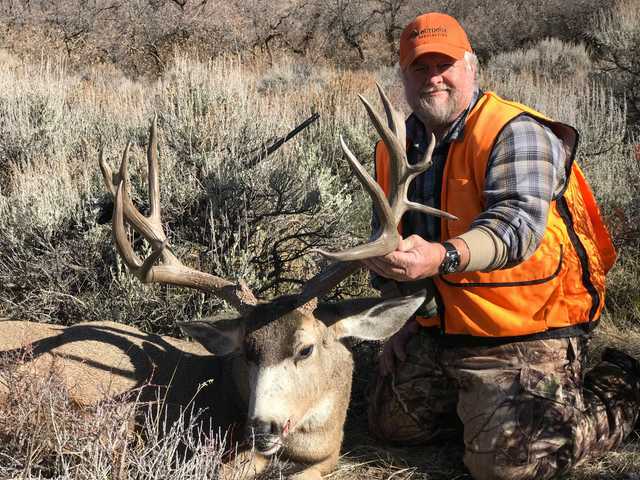 After years of applying Danny drew one of the five late season rifle hunts available in unit 23 with QRS Outdoors. Little did he know that on the first day of his hunt after locating the buck the night before he would be staring down the barrel at the duck of his dreams. 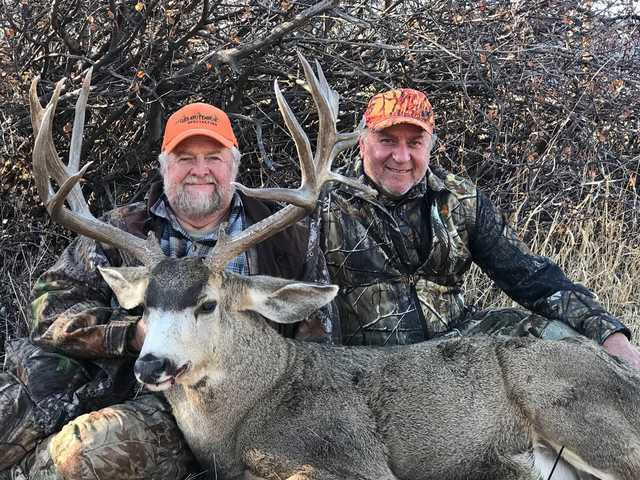 After four grueling hours of cat and mouse the buck finally made the wrong move and took after a hot doe exposing himself and giving Danny the shot at 256 yards that he needed. 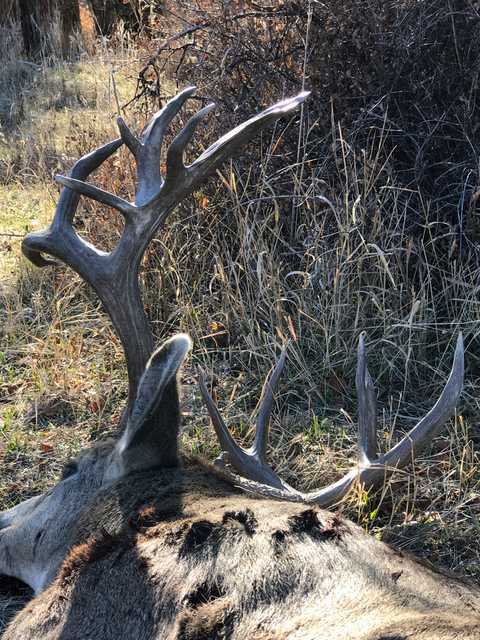 His trusty 7mm anchored the buck with one shot. 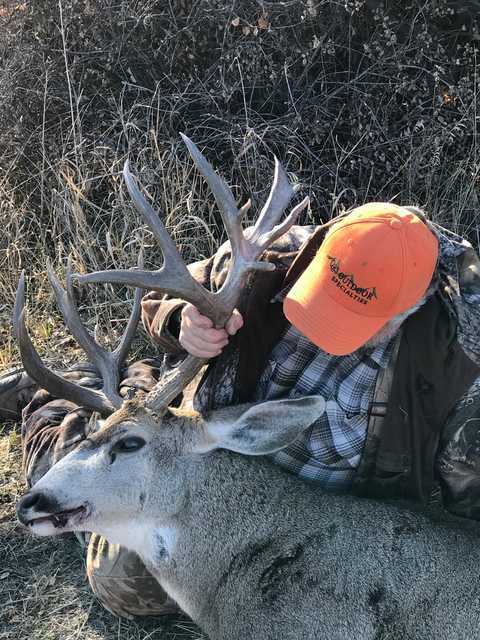 But Danny still wasn't quite sure what he had taken until walking up on his trophy and picking up a buck that would be holding 11 1/2 inches of extras points!!! The night before his hunt Danny and good friend Steve Olrich or Hawk as we like to call him took out to glass and scout the property to see what was around. Danny found the buck about an hour before dark and wasn't long before he was stopping me on the road telling me that I had to see this buck right away. It was a quick decision that this was the buck to target come opening morning. Hawk stayed behind to provide us a eye from a distance to make sure we were on track and in place for the final count down. Little did we all know that the buck would slip around a small drop off and into a small bowl with the does unannounced to any of us. It wasn't until I had gotten up from being frozen to the ground that I seen the does in the small bowl to our right. Slipping into position to glass them I finally got the buck chasing one of them and quickly got Danny up and over to where we would find ourselves waiting and watching as the buck slipped in and out chasing does then bedding just out of site. Up and down for 2 hours we watched patiently waiting for the shot. 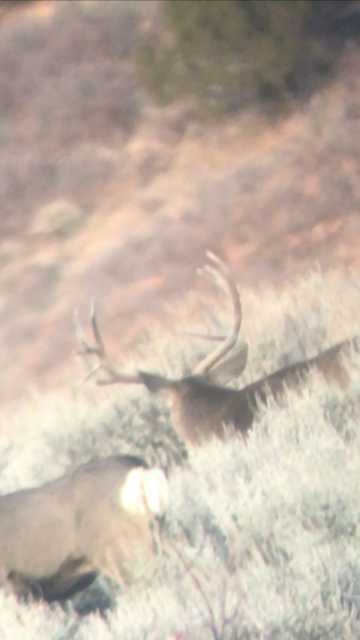 He would bed where we could see his horns but never in the right position until one of the does finally fed out into a small sagebrush flat causing him to get up and try to circle her back around. Thanks when Danny sealed the deal!! !